November 12, 2016 Saturday 3:00 - 5:00pm LAST STAND BREWING COMPANY 12345 Pauls Valley Rd., Austin, TX 78737 Danny Fast Fingers Solo Acoustic - Great Local Microbrewery with Beer Garden. September 15, 2016 Thursday 6:00 - 7:15pm DRISKILL HOTEL 604 Brazos St, Austin, TX 78701Danny Fast Fingers Solo Acoustic Happy Hour! September 14, 2016 Wednesday 6:00 - 7:15pm DRISKILL HOTEL 604 Brazos St, Austin, TX 78701Danny Fast Fingers Solo Acoustic Happy Hour! September 13, 2016 Tuesday 6:00 - 7:15pm DRISKILL HOTEL 604 Brazos St, Austin, TX 78701Danny Fast Fingers Solo Acoustic Happy Hour! August 20, 2016 Saturday 3:00 - 5:00pm LAST STAND BREWING COMPANY 12345 Pauls Valley Rd., Austin, TX 78737 Danny Fast Fingers Solo Acoustic - Great Local Microbrewery with Beer Garden. July 28, 2016 Wednesday 6:00 - 7:15pm DRISKILL HOTEL 604 Brazos St, Austin, TX 78701Danny Fast Fingers Solo Acoustic Happy Hour! July 27, 2016 Wednesday 6:00 - 7:15pm DRISKILL HOTEL 604 Brazos St, Austin, TX 78701Danny Fast Fingers Solo Acoustic Happy Hour! July 26, 2016 Tuesday 6:00 - 7:15pm DRISKILL HOTEL 604 Brazos St, Austin, TX 78701Danny Fast Fingers Solo Acoustic Happy Hour! June 25, 2016 Saturday 3:00 - 5:00pm LAST STAND BREWING COMPANY 12345 Pauls Valley Rd., Austin, TX 78737 Danny Fast Fingers Solo Acoustic - Great Local Microbrewery with Beer Garden. June 11, 2016 Saturday 3:00 - 5:00pm LAST STAND BREWING COMPANY 12345 Pauls Valley Rd., Austin, TX 78737 Danny Fast Fingers Solo Acoustic - Great Local Microbrewery with Beer Garden. May 12, 2016 Thursday 6:00 - 7:15pm DRISKILL HOTEL 604 Brazos St, Austin, TX 78701Danny Fast Fingers Solo Acoustic Happy Hour! May 11, 2016 Wednesday 6:00 - 7:15pm DRISKILL HOTEL 604 Brazos St, Austin, TX 78701Danny Fast Fingers Solo Acoustic Happy Hour! May 10, 2016 Tuesday 6:00 - 7:15pm DRISKILL HOTEL 604 Brazos St, Austin, TX 78701Danny Fast Fingers Solo Acoustic Happy Hour! April 2, 2016 Saturday 3:00 - 5:00pm LAST STAND BREWING COMPANY 12345 Pauls Valley Rd., Austin, TX 78737 Danny Fast Fingers Solo Acoustic - Great Local Microbrewery with Beer Garden. February 21, 2016 Sunday 4:00 - 6:00pm LAST STAND BREWING COMPANY 12345 Pauls Valley Rd., Austin, TX 78737 Danny Fast Fingers Solo Acoustic - Great Local Microbrewery with Beer Garden. First Anniversary Party! November 14, 2015 Saturday 3:00 - 5:00pm LAST STAND BREWING COMPANY 12345 Pauls Valley Rd., Austin, TX 78737 Danny Fast Fingers Solo Acoustic - Great Local Microbrewery with Beer Garden. November 12, 2015 Thursday 6:00 - 7:15pm DRISKILL HOTEL 604 Brazos St, Austin, TX 78701Danny Fast Fingers Solo Acoustic Happy Hour! November 11, 2015 Wednesday 6:00 - 7:15pm DRISKILL HOTEL 604 Brazos St, Austin, TX 78701Danny Fast Fingers Solo Acoustic Happy Hour! November 10, 2015 Tuesday 6:00 - 7:15pm DRISKILL HOTEL 604 Brazos St, Austin, TX 78701Danny Fast Fingers Solo Acoustic Happy Hour! December 11, 2014 Thursday 6:00 - 7:15pm DRISKILL HOTEL 604 Brazos St, Austin, TX 78701Danny Fast Fingers Solo Acoustic Happy Hour! December 10, 2014 Wednesday 6:00 - 7:15pm DRISKILL HOTEL 604 Brazos St, Austin, TX 78701Danny Fast Fingers Solo Acoustic Happy Hour! December 9, 2014 Tuesday 6:00 - 7:15pm DRISKILL HOTEL 604 Brazos St, Austin, TX 78701Danny Fast Fingers Solo Acoustic Happy Hour! October 24, 2014 Friday 1:00 - 3:00pm WATERLOO RECORDS @AUSTIN BERGSTROM AIRPORT Highway 71, Austin TX Danny Fast Fingers Solo Acoustic...Ticketed Passengers Only Sorry! Not open to general public! October 18, 2014 Saturday 7:00-9:00pm HAM-JAM HOUSE CONCERT 3800 Mia Tia Circle Austin, TX 78731 Danny solo unplugged in a great sounding acoustic environment. $10 suggested donation. October 2, 2014 Thursday 6:00 - 7:15pm DRISKILL HOTEL 604 Brazos St, Austin, TX 78701Danny Fast Fingers Solo Acoustic Happy Hour! October 1, 2014 Wednesday 6:00 - 7:15pm DRISKILL HOTEL 604 Brazos St, Austin, TX 78701Danny Fast Fingers Solo Acoustic Happy Hour! 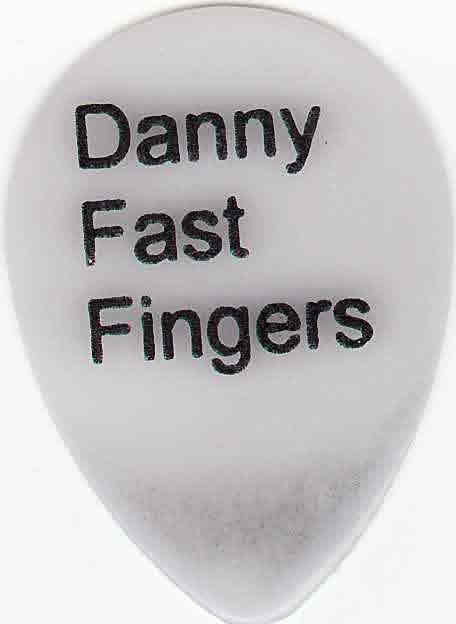 September 30, 2014 Tuesday 6:00 - 7:15pm DRISKILL HOTEL 604 Brazos St, Austin, TX 78701Danny Fast Fingers Solo Acoustic Happy Hour! May 2, 2014 Friday 1:00 - 3:00pm WATERLOO RECORDS @AUSTIN BERGSTROM AIRPORT Highway 71, Austin TX Danny Fast Fingers Solo Acoustic...Ticketed Passengers Only Sorry! Not open to general public! April 26, 2014 Saturday 7:00 - 9:00 GENUINE JOES 2001 W Anderson Ln, Austin, TX 78757 (512) 220-1576 Sitardelik show. Danny on sitar with electronic backbeat! March 2, 2014 Sunday 6:00-9:00 SKYLARK LOUNGE 2039 Airport Blvd, Austin, TX 78722 George Harrison Tribute show - I'll be playing sitar for a few songs and singing a couple of George's solo tunes. September 27, 2013 Friday 1:00 - 3:00pm WATERLOO RECORDS @AUSTIN BERGSTROM AIRPORT Highway 71, Austin TX Danny Fast Fingers Solo Acoustic...Ticketed Passengers Only Sorry! Not open to general public! April 6, 2013 Saturday 7:00 - 10:00pm DOWN UNDER DELI 21209 Highway 71 Spicewood, TX (512) 264-8000 Danny Fast Fingers band..Aussie themed bar/good food..check out Cooper's Lager. March 15, 2013 Friday 9:00-9:25pm USA SONGWRITING COMPETITION Unofficial SOUTH BY SHOWCASE @ MOZART'S COFFEE ROASTERS 3826 Lake Austin Blvd, Austin, TX (512) 477-2900 Free Admission, No Badge Required. March 2, 2013 Saturday 7:00 - 10:00pm DOWN UNDER DELI 21209 Highway 71 Spicewood, TX (512) 264-8000 Danny Fast Fingers band..Aussie themed bar/good food..check out Cooper's Lager. April 22, 2012 Sunday 2:00-5:00pm HAM-JAM HOUSE CONCERT 3800 Mia Tia Circle Austin, TX 78731 Danny solo unplugged in a great sounding acoustic environment. $10 suggested donation. March 17, 2012 Saturday March 17 4:30 - 6:00pm BETSY'S 301 W 6th St. Austin TX 78701 Showcase week & St. Patricks Day! March 16, 2012 Friday March 16 12:00 Noon DISTRICT 301 301 W 6th St. Austin TX 78701 Showcase week! March 15, 2012 Thursday March 15 10:30 - Midnight BETSY'S BAR 301 W 6th St. Austin TX 78701 Showcase week! February 8 , 2012 Wednesday 3:30 - 5:30pm Earl Campbell's Sports Bar @Austin Bergstrom Airport Highway 71, Austin TX Danny Fast Fingers Solo Acoustic...Ticketed Passengers Only Sorry! Not open to general public! May 12, 2011 Thursday 8:00 - 10:30pm JAX NEIGHBORHOOD CAFE 2828 Rio Grande Austin, Texas 78705 Danny Fast Fingers Band with Debra Parr on bass and David Hisky on drums..FREE Admission! February 24 , 2011 Thursday 3:30 - 5:30pm Earl Campbell's Sports Bar @Austin Bergstrom Airport Highway 71, Austin TX Danny Fast Fingers Solo Acoustic...Ticketed Passengers Only Sorry! Not open to general public! October 24, 2010 Sunday 4:30pm Spider House Cafe 2908 Fruth (by 29th Street), Austin TX 78705 phone 512-480-9562 Official "Two Angels" CD Release Party! October 16, 2010 Saturday 11:11am FARMERS MARKET at BARTON CREEK MALL Parking Lot Austin, TX Danny Fast Fingers Duo with Debra Parr on Bass ...hosted by Jiminy Crisket who play before and after our set. June 18 , 2010 Friday 1:00 - 3:00pm LEFTY'S at ABIA Gate 18 @Austin Bergstrom Airport Highway 71, Austin TX Danny Fast Fingers Solo Acoustic...Ticketed Passengers Only Sorry! Not open to general public! April 18, 2010 Sunday 1:00 PM at THE BUGLE BOY 1051 N. Jefferson St. (Hwy 77), La Grange, Texas 78945 Cost: $5 Sunday Showcase with many other acts. April 11, 2009 Saturday 11:30PM GOOGIE'S LOUNGE 154 Ludlow Street NYC 212 533-7327 Free Admission - First New York City appearance in over 3 years! September 19, 2008 Friday 6:30 - 10:00 GRACE MILLER RESTAURANT 706 Pine Street, Bastrop , TX (512) 332-2991 Free Admission on the outdoor patio! October 20, 2007 Saturday 4:15 -5:00 POODIES HILLTOP ROADHOUSE (OKTOBERFEST)22308 Highway 71 Spicewood, TX 264-0318 many bands on bill! February 11, 2004 Wednesday 7:00 pm VICTORS HOUSE OF MUSIC Route 17 North, Paramus New Jersey In Store special appearance. Free admission. September 12, 2002 Thursday Kenny's Castaways 157 Bleecker St. (Between Thompson& Sullivan) (Subway to Bleecker #6)Free Admission. Thanks everybody for making 2000 a great year! December 22, 2000 Friday 7:00 PM C-NOTE CAFE 157 Avenue C(10th St.) N.Y.C. Solo Guitar and Vocals FREE ADMISSION! November 14, 2000 Tuesday 9:00 PM SIDEWALK CAFE Ave A and 6th St. New York City Solo Guitar and Vocal FREE! May 10, 2000 Wednesday 8:00 PM C-NOTE CAFE 157 Avenue C(10th St.) N.Y.C. Solo Guitar and Vocals FREE ADMISSION! March 22, 2000 Wednesday 10:00 PM DOWNTIME 251 West 30th Street. New York City Solo Guitar and Vocals Free Admission!